Longtime video game journalist Jeremy Parish (with the assistance of his Retronauts co-host Bob Mackey) conducted an enormous, fascinating interview with Final Fantasy XV director (and arguably, savior) Hajime Tabata. In the interview, which was published by Polygon, Tabata offers a ton of insight on the thought processes behind the later development of Final Fantasy XV, the ideas behind the ways its story was told, the ideas in and outside of it that are carrying over to Tabata’s new studio, and of course the upcoming second volley of DLC episodes. In fact, Tabata’s comments in particular about the new set of DLC episodes stand out as very telling about the way he and his team feel about the game overall, and perhaps give us some insight on the “feel” of the content. Tabata refers to the DLC as a “brand new story,” which in a literal sense we know it’s more expansion on the story that already exists, but in an abstract sense, sure! There’s still this kind of connection between us and the users. So why not try and create something new based on that need? That’s what we want to do with the next DLCs: create an active relationship with the users. We want to thoroughly secure the story in places where people think there are some pieces missing in the puzzle — we want to alleviate those issues. At the same time, we want to build something new with the users, create a different sort of possibility with the direction that the story of Final Fantasy XV could head. That’s something that’s going to be new, and it’s going to be pretty exciting to make. The next DLC will be a brand new story,” he says. “Last year’s DLC was already initially planned from the main game. [Episodes] Ignis, Gladiolus, and all that — that was Season One. This will kind of be like moving into a Season Two. Using “season” language to describe post-release content is not new at this point, but this quote is interesting from a creative perspective. 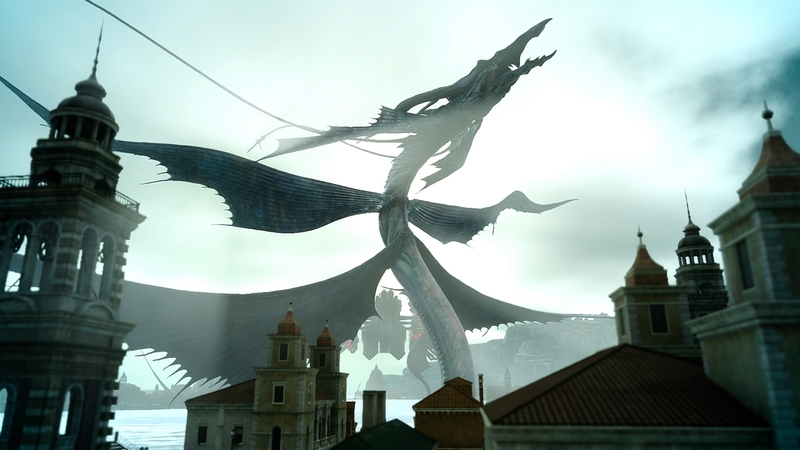 Much of the post-launch support for Final Fantasy XV arose from a divisive response to the game’s storytelling delivery mechanisms. While they were fascinating, many complained that the story wasn’t clear or present enough. So while all the previous DLC was already mapped out while the game was being made, and the support after that was sort of filling in little holes here and there within the content that already existed, it seems like what Tabata is saying here is that this new wave of DLC is a creative fresh start for the team, that they’re creating story content that is certainly part of the base game’s canon, but that wasn’t present before. It’s fresh and new, from the creative point of view. It’s great to hear that Tabata and the team are excited about that approach, which will only make the wait for “season two” that much more difficult for the fans.